Good afternoon! I hope everyone did well on the Math and World Language Placement tests. It was great to be able to talk with so many of you on Saturday! Placement Test Presentation: For those of you who were unable to attend the parent presentation or for those who want a closer look at the power point, please click here to view the presentation. Summer Speed Camps: The summer speed camps are one of the highlights of what we offer to really focus on making our athletes faster and more powerful while addressing stability, mobility and proper running and movement mechanics. There will be two sessions of three weeks available. Note this is open to the entire student body and local community and not just freshmen. Students looking to participate in a sport at St. X are encouraged to participate. These camps will help the incoming freshmen get a better understanding to the culture of St. X athletics and orientation to what the expectations we have for young men as they transition into this environment. Spots are limited and fill up quickly. This is a great way for incoming students to get to meet some of their fellow classmates and start to form bonds and friendships. To register please visit http://www.stxsportscamps.com/ and click on the speed and agility tab. Freshman Family Conferences: Conferences begin today and will continue through the end of April. If you have not scheduled your conference yet, a faculty member will be contacting you soon. Welcome to the Class of 2023 from the St Xavier Mothers' Club! 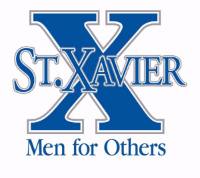 The St. Xavier Mothers' Club Freshman Welcome Parties will continue through April 9. If you haven't had a chance to attend a party yet, there are still several parties to come, so please sign up below! The Welcome Parties are a great way to meet other incoming parents, ask questions and connect to the St. X community. Parties are hosted in a small group setting where Mothers' Club Board Members share information and tips to help make a smooth transition into high school. This is an adult only event. https://www.signupgenius.com/go/10C0C4FAFA923A7FF2-20193. If you have any questions, please email mothersclub@stxavier.org. Financial Responsibility Form Please click here to read a letter from our CFO concerning financial responsibility for your son's tuition account. If you have any questions, please feel free to call the Business Office at 761-7815 ext. 134. Personalized Class of 2023 Hoodie from the St. Xavier Spirit Shop. Please click here to order.